Vancouver salsa Tuesdays Night is running for more than 17 years and for almost 6 years at Studio nightclub. 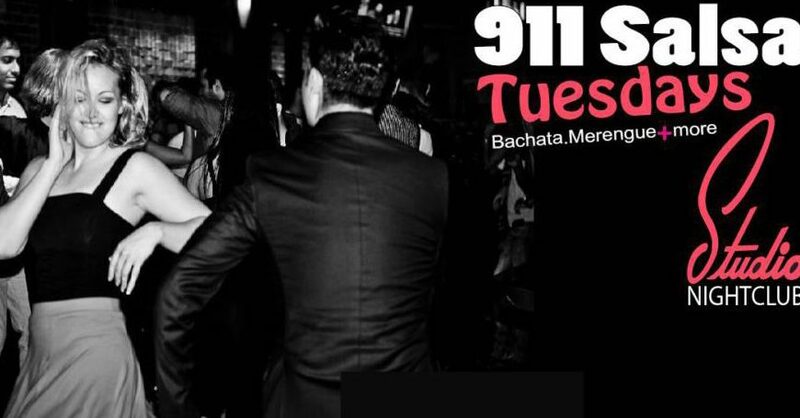 The name of the Event is 911 Salsa Tuesdays and the address is 919 Granville St.
Salsa dancing is what is happening every Tuesday night and the Dj plays Salsa, Bachata and Merengue. Normally every Tuesday the Salsa instructor will teach you the basic moves of Salsa, Bachata and Merengue by the way the lessons are free with the admission. Salsa lesson goes from 9.00-10pm and generally is full with people willing to learn the secrets of the Latin world. Vancouver Latin fever has different events in the city if you want to get some tickets press Buy tickets and you will get them. We hope to see you soon dancing salsa at Studio Nightclub.